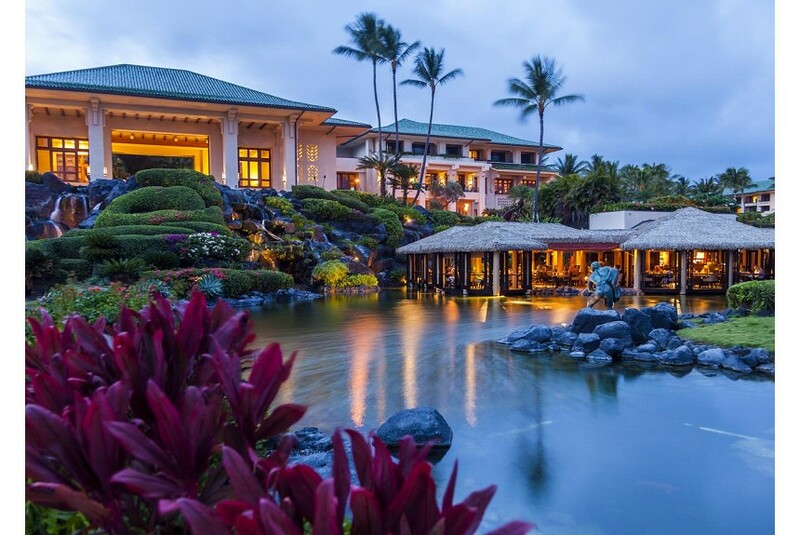 Set amidst river pools and tropical gardens, the Grand Hyatt Kauai Resort & Spa boasts a golf course, 7 restaurants and a spa. Each guest room includes a private balcony. A flat-screen TV with cable channels, an electronics charging station, a beverage chiller, a seating area, and a large work desk are offered in each guest room. A marble en suite bathroom features double vanities, bathrobes and free toiletries. Guest may dine at 7 different restaurants including upscale seafood cuisine at Tidepools, Italian specialties at Dondero’s, and sushi creations at Stevenson's. Outdoor, poolside, and golf clubhouse grab n go as well as 6 lounges offering fine wines, specialty cocktails, and premium liquors are also available. The Luau Show on Wednesdays and Sundays offers a Hawaiian buffet and showcases traditional Polynesian dance and culture. The Anara Spa and Salon features massage therapy, Hawaiian body and facial treatments and hair care. A lap pool and café are also available.